I was helping my dad clear out his loft last week, and we came across a small treasure trove of cameras. In amongst a few worthless compact bits of plastic (though maybe the Canon IXUS APS will be a museum piece one day) we found his old Adox camera which he bought in Malta whilst in national service there in the 1950s. 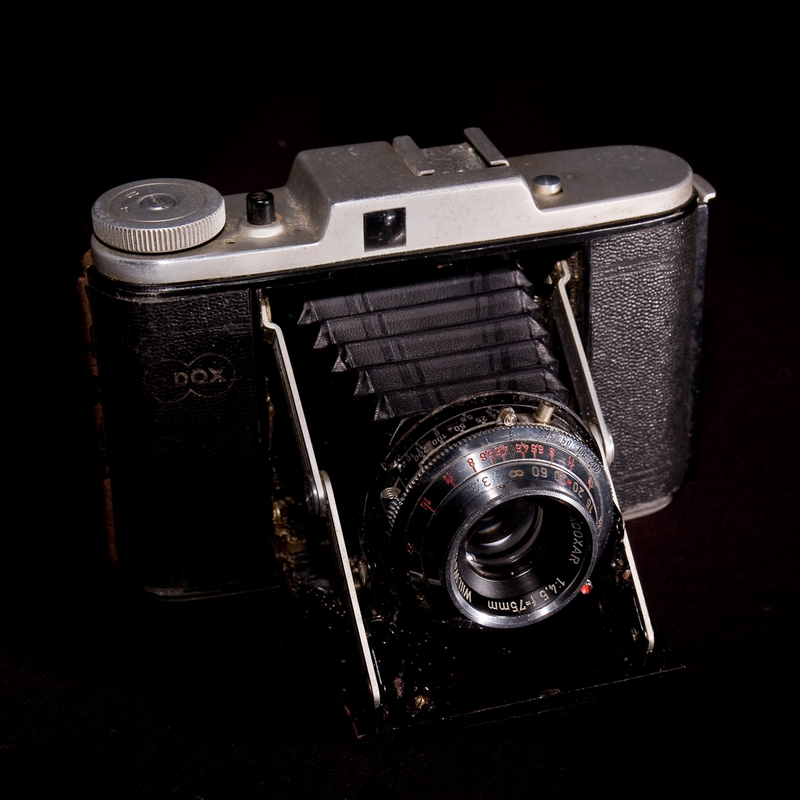 I remember this camera well from my childhood. Maybe this intriguing bit of equipment, with its folding front door and collapsing bellows, helped generate my own interest in photography. I even remember the first picture I took on this camera (possibly also my last, as 35mm was the way forward and this camera was on its way out – or at least to the loft). Maybe one day I’ll have a look and see if I can find that photo. For now, I’ll just say it wasn’t very good. 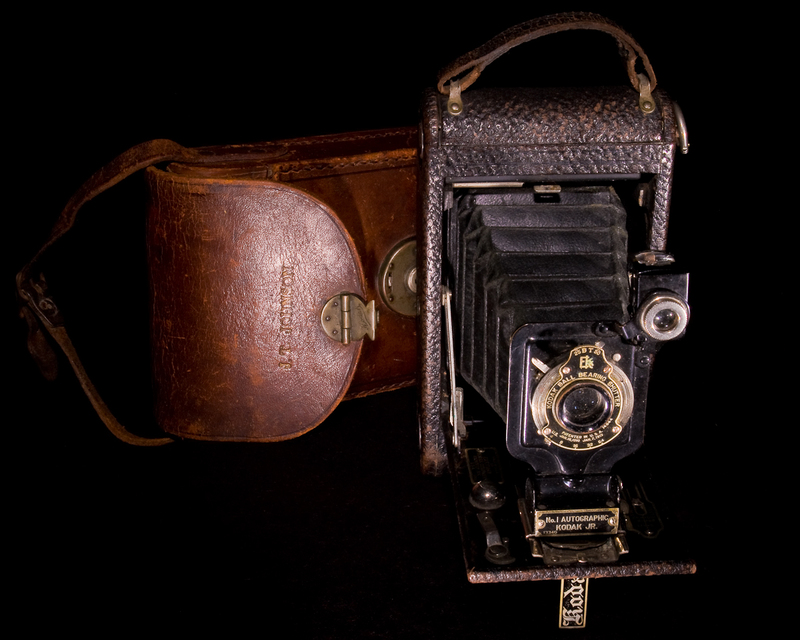 The unexpected find was a camera bought by my grandmother in the 1920s. The camera wasn’t unexpected – I remember seeing it before, and maybe even playing with it when I was young. The unexpected part was that I’d never realised the grandmother who bought it was on my mother’s side. >It was the same kind of thing for me, except that it was my grandfather. All his cameras are now probably slowly being recycled in a dump somewhere (most likely because I broke it while experimenting) but I do sometimes wish I'd accidentally come across that old TLR that he had (it was probably Russian knock off of a Rollei). I hope my children or their children will be similarly inspired by my old cameras, even if my photography never goes anywhere. Don't suppose that you've put your hand on an old view camera that you don't want?